Features: AMERIGLO BOLD Night Sights - i10 rd capacity - single stack. New for 2019! 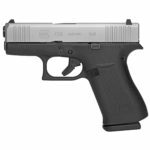 The new G48 is Glock’s new compact, slimline, high capacity single stack, 9mm pistol. 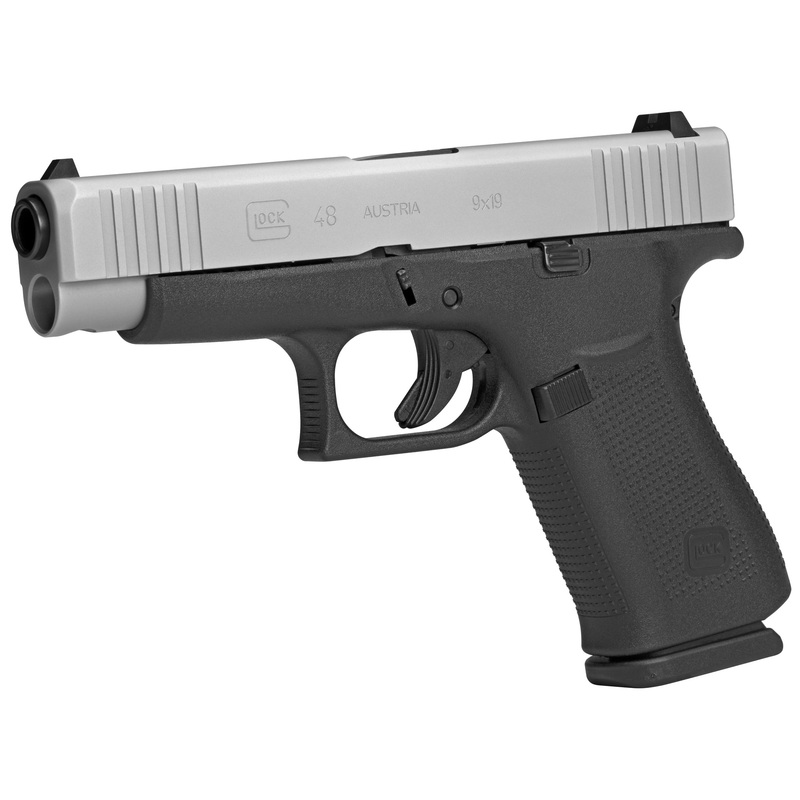 The G48 is of similar length and height as the most popular Glock the G19 but the width of the pistol is reduced for increased concealability and high carrying comfort. 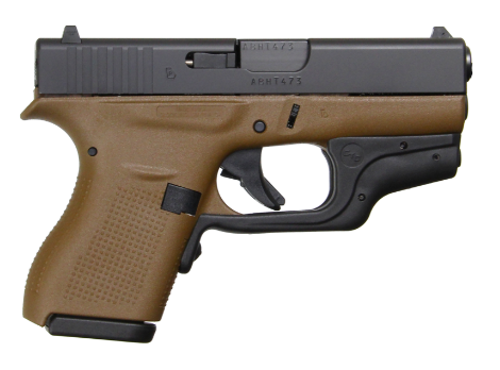 The G8 is the answer to your everyday low profile concealed carry needs without compromises. 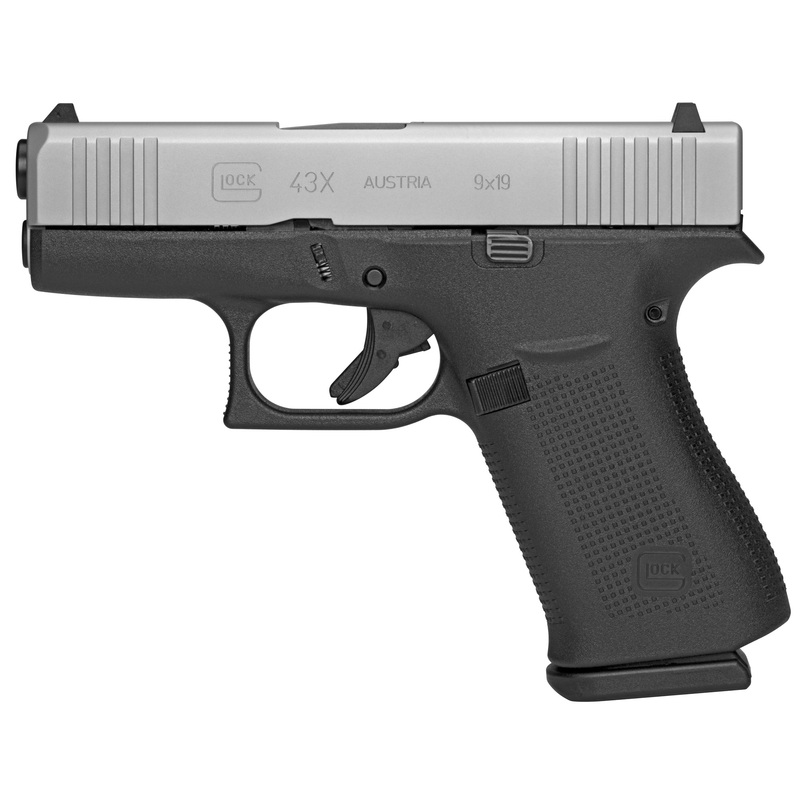 It is concealable, accurate, and fantastic for all shooters regardless of hand size. 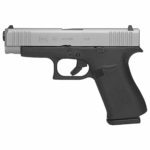 With a stylish Silver slide this new Glock is engineered to the same standards and can withstand the same tortures as other Glock pistols. The slim 10 round magazines of this pistols are the same of the smaller G43X allowing you to be shared with that subcompact pistol. THIS VERSION COMES FACTORY INSTALLED WITH THE OUSTANDING AMERIGLO BOLD NIGHT SIGHTS (pic). New for 2019! 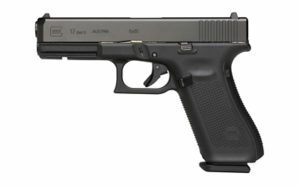 The new G48 is Glock’s new compact, slimline, high capacity single stack, 9mm pistol. 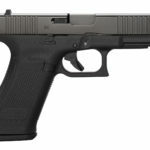 The G48 is of similar length and height as the most popular Glock the G19 but the width of the pistol is reduced for increased concealability and high carrying comfort. 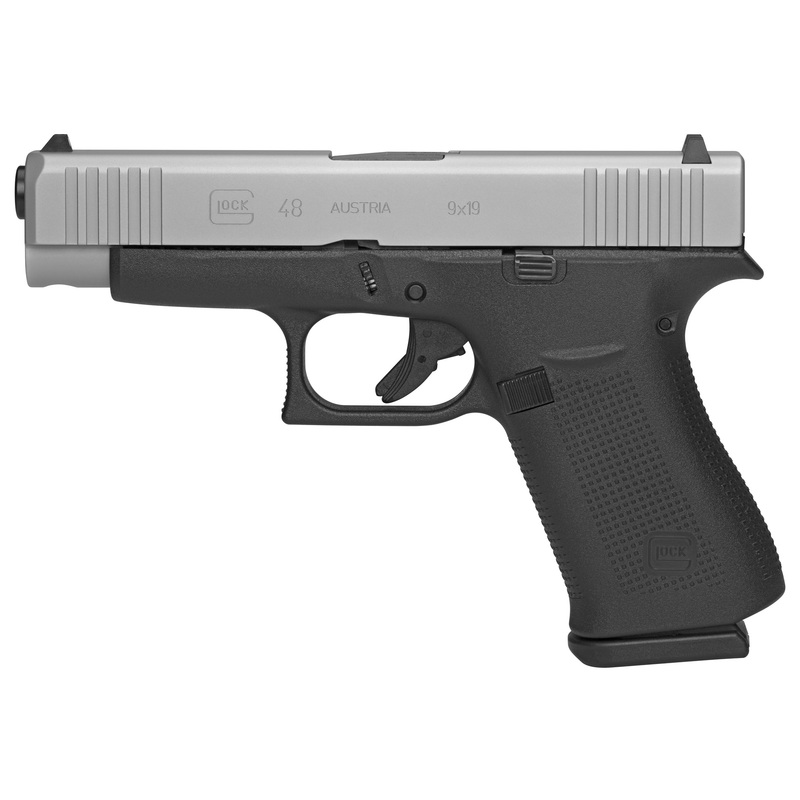 The G8 is the answer to your everyday low profile concealed carry needs without compromises. It is concealable, accurate, and fantastic for all shooters regardless of hand size. 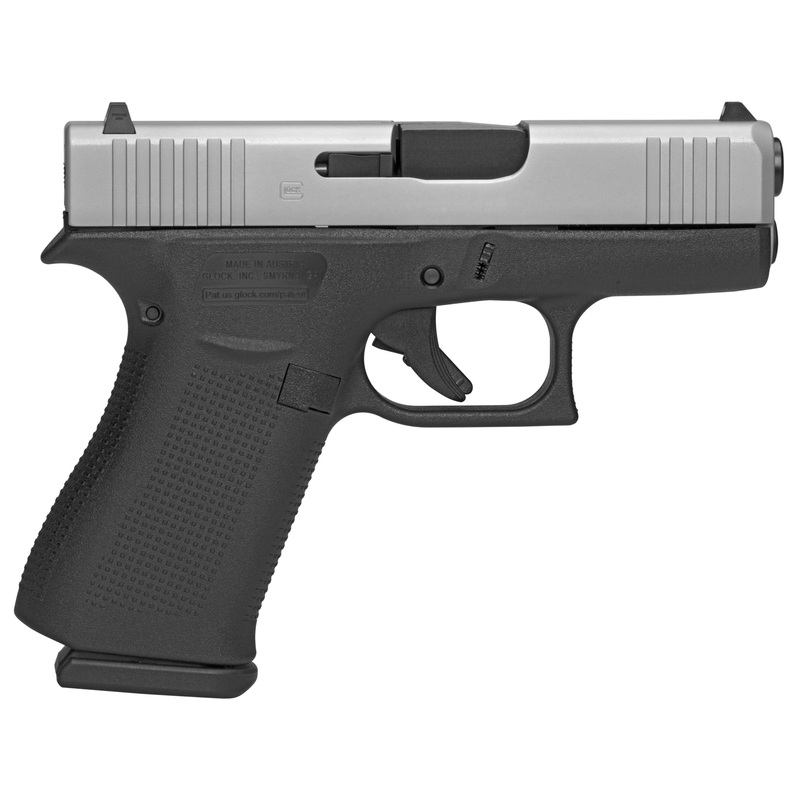 With a stylish Silver slide this new Glock is engineered to the same standards and can withstand the same tortures as other Glock pistols. The slim 10 round magazines of this pistols are the same of the smaller G43X allowing you to be shared with that subcompact pistol. The GLOCK 17 Gen5 showcases the latest technology and engineering that drives GLOCK’s constant pursuit of perfection. 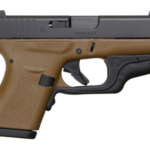 The G17 Gen5 features over 20 design modifications from its Gen4 predecessor, including the GLOCK Marksman Barrel, an nDLC finish, ambidextrous slide stop levers, a grip with no finger grooves, and a flared mag-well, all wrapped in a package perfect for concealed carry or use as a back-up weapon. 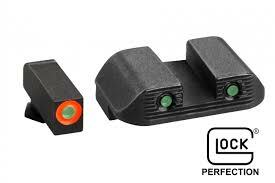 These changes deliver improved accuracy, durability, performance, control, and flexibility in both low-stress and high-stress situations. The G17 Gen5 features a no finger grooved, multiple backstrapped, rough textured frame with hundreds of miniature spikes which results in remarkable traction for extreme environments and gloved operators. The frame also features a smooth trigger, reversible mag release, and ambidextrous slide stop. The magazine comes with a floor plate which is extended at the front for faster magazine change, and a orange follower, while the flared mag-well makes it easier to funnel the magazine into the mag-well. 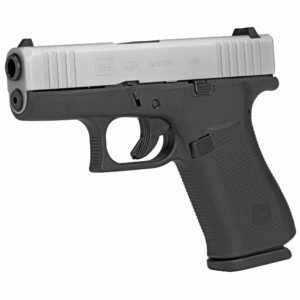 Glock’s nDLC finish provides a tougher, more durable protection against corrosion and scratching. The Glock Marksman barrel features a barrel rifling which delivers improved accuracy. 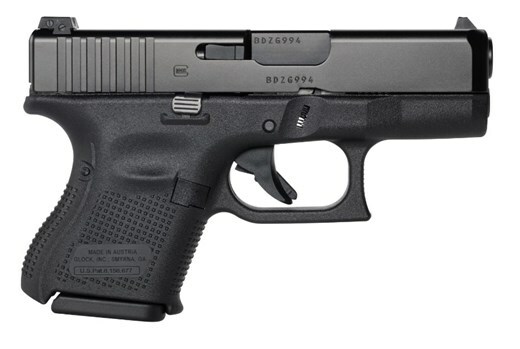 This special versions of the Glock Gen5 model has factory Night Sights ands a 17-round capacity (three magazines included). 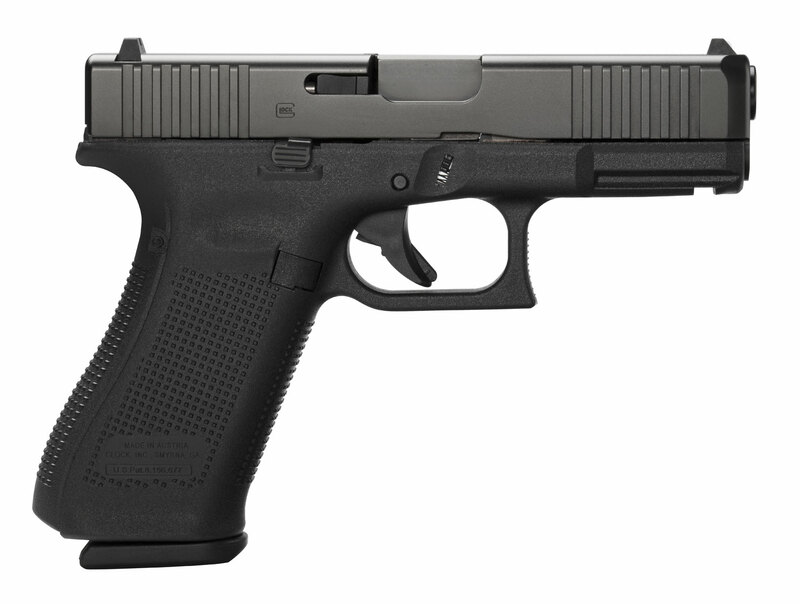 The GLOCK 26 Gen5 showcases the latest technology and engineering that drives GLOCK’s constant pursuit of perfection. 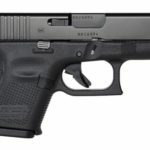 The G26 Gen5 features over 20 design modifications from its Gen4 predecessor, including the GLOCK Marksman Barrel, an nDLC finish, ambidextrous slide stop levers, a grip with no finger grooves, and a flared mag-well, all wrapped in a package perfect for concealed carry or use as a back-up weapon. These changes deliver improved accuracy, durability, performance, control, and flexibility in both low-stress and high-stress situations. The G26 Gen5 features a no finger grooved, multiple backstrapped, rough textured frame with hundreds of miniature spikes which results in remarkable traction for extreme environments and gloved operators. 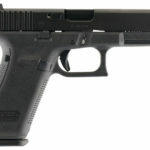 The frame also features a smooth trigger, reversible mag release, and ambidextrous slide stop. The magazine comes with a floor plate which is extended at the front for faster magazine change, and a orange follower, while the flared mag-well makes it easier to funnel the magazine into the mag-well. Glock’s nDLC finish provides a tougher, more durable protection against corrosion and scratching. 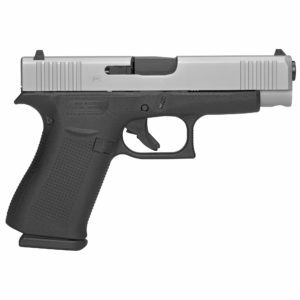 The Glock Marksman barrel features a barrel rifling which delivers improved accuracy. 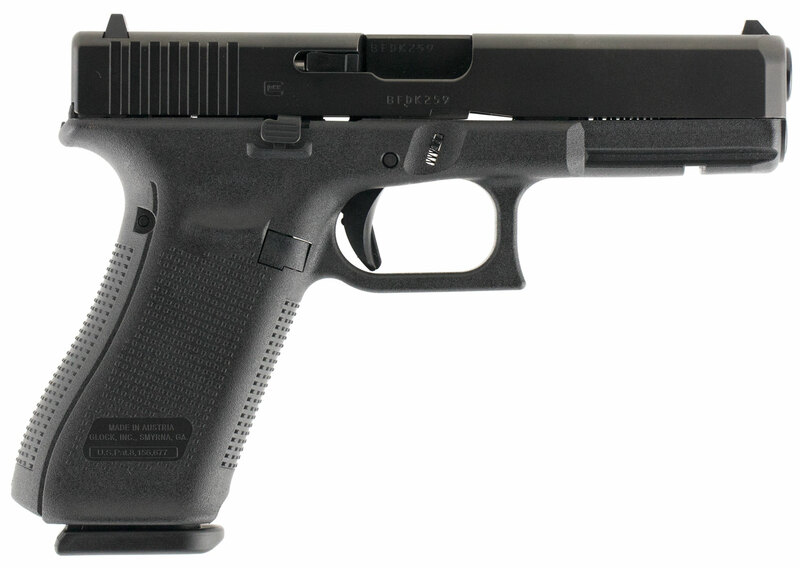 This Glock Gen5 model has Night Sights and a 10-round capacity.